Administrative Law Judge (ALJ), Michael G. Barth, Office of Administrative Hearings (OAH), State of California, heard this matter in Tracy, California, on May 31, 2011. Rodney L. Levin, Attorney at Law, represented both the Tracy Unified School District (District) and the San Joaquin County Office of Education (County). Janet A. Skulina, Ed.D., Interim Director of Special Education, was present throughout the hearing on behalf of the District. Brandi Brunni, County’s Director of Special Education, was present throughout the hearing on behalf of County. Whether District’s and County’s individualized education program (IEP) dated August 26, 2010,4 offered Student a free and appropriate public education (FAPE) in the least restrictive environment (LRE)? District and County request an order finding that they offered Student a FAPE in the LRE in the IEP dated August 26, 2010. On January 27, 2011, as a result of the development of the IEP that began in August 2010, District and County offered Student special education and related services in a special day class for severely handicapped students with autistic-like behaviors at Jacobsen Elementary School (SDC at Jacobsen). The SDC at Jacobsen is operated by County on the Jacobsen campus in the District.5 District and County contend that the August 26, 2010 IEP, as subsequently developed offered Student a FAPE. District and County further contend that the IEP was reasonably calculated to provide Student with meaningful educational progress in the LRE, and that the offer of placement and services was appropriate. 1 Although Parents neither attended the hearing nor participated in the prehearing conference, two documents were admitted into evidence that originated from Parents: Exhibit A, a request to dismiss the due process hearing; and Exhibit 18, a letter from Mother to District removing Student from his current placement. 2 To maintain a clear record, the District’s closing brief has been marked as Exhibit 26. 3 This issue is as framed in the August 5, 2010 Order Following Prehearing Conference, and as further clarified at hearing. The ALJ has reframed the issue for the purpose of clarity. 4 The IEP team meetings for the IEP dated August 26, 2010, the date for Student’s annual IEP, were held over three sessions: September 10, 2010, October 28, 2010, and January 27, 2011. No issues were presented at hearing regarding the development of the IEP; for the purpose of this decision the offer will be designated as the August 26, 2010 IEP, which was developed during the three IEP team meetings. 5 Due process hearing procedures extend to “the public education agency involved in any decisions regarding a pupil.” “Public agency” includes a school district, county office of education, special education local plan area, or any other public agency under the auspices of the state or any political subdivisions of the state providing special education or related services to individuals with exceptional needs. County is a public agency in this instance since it participated in the decisions related to the education of Student and provided the program to provide the education to Student. Although Parents did not attend the hearing, Mother sent District an email on February 24, 2011, and a letter on May 13, 2011, that were both admitted into evidence. These communications articulated Parent’s concerns regarding the District and County’s offer of a FAPE: that District and County failed to offer Student a continuum of services and that for the offer of placement of Student in the SDC at Jacobsen was not appropriate. Parents contended that the SDC at Jacobsen lacks the necessary intensity for an autism program, has insufficiently trained staff, and provides a program that does not have sufficient social goals for its students. In summary, Parent rejected the setting offered by District and County. 2. District and County opposed Student’s motion to dismiss alleging it was factually incorrect in two ways. First, Student’s contention that the parties did not wish to proceed to hearing was not correct. District and County filed the complaint and had the right to proceed to hearing. Second, Parents’ contention that they withdrew Student from the District does not relieve District and County from liability for claims regarding Student pertaining to the IEPs involved in this case. In addition, if Student was now enrolling in a charter school and would continue to receive a public education, the District and possibly County may still be required to provide services to Student. 3. After considering the documentary exhibits entered into the record and arguments presented by District and County, Student’s motion to dismiss is without merit. Accordingly, Student’s motion to dismiss was denied at the outset of the hearing. 5 This date actually refers to the August 26, 2010 IEP. 1. Student is a seven-year-old boy who lives with Parent within the geographical boundaries of District. He is eligible for special education services in the category of autistic-like behaviors. Student’s disability-related needs are significant. He has difficulty with such skills as attending, language and communication, academics, behavior and social skills. His rate of acquisition is low. 2. Since June 2008, Student has attended the Kendall School (Kendall), pursuant to an IEP with the District. Kendall is a non-public preschool, operated by Therapeutic Pathways Incorporated (Therapeutic Pathways) in cooperation with District that is designed to provide intensive one-to-one services to preschool children. Generally Kendall students are three to four years old. Kendall does not offer a regular group classroom environment for its students; rather it provides a one-to-one learning environment to prepare preschool children with autism for kindergarten. Kendall employs intensive applied behavior analysis (ABA). Kendall classes are held in a portable building on a comprehensive District elementary school campus. This location provides for social opportunities for Kendall students to interact with other students on campus, as the Kendall students have limited interaction with each other due to Kendall’s one-to-one learning environment and their limited social skills due to autism. 3. Although Student has benefited from the Kendall program, both in his academics and behaviors, his placement there has presented problems as he approaches the age of eight. Student is the oldest child in the Kendall program, and his social opportunities with younger, preschool-age children are limited. District and County proposed the SDC at Jacobsen in connection with the fall 2010, and January 2011 IEPs, and Parents rejected the offer. Parents have decided to home school their son using a charter school program and withdrew Student from Kendall on May 26, 2011. 4. There are two parts to the legal analysis of the validity of an IEP. First, the tribunal must determine whether the district has complied with the procedures set forth in the Individuals with Disabilities Education Act (IDEA). Second, the tribunal must decide whether the IEP was reasonably calculated to enable the child to receive meaningful educational benefit. Not every procedural violation is sufficient to support a finding that a student was denied a FAPE. To constitute a denial of FAPE, the procedural inadequacy must have impeded the child’s right to a FAPE, significantly impeded the parent’s opportunity to participate in the decision making process regarding the provision of FAPE, or caused a deprivation of educational benefits. 5. The San Joaquin County special education local plan area (SELPA) of which District is a member is required to have a continuum of program options available for a child. In this instance, in connection with the fall 2010 and January 2011 IEP team meetings, District and County considered the following placement options: general education kindergarten; District-operated mild-moderate special day class (District SDC); County-operated moderate-severe SDC at Jacobsen Elementary School designed specifically to meet the needs of students with autism (SDC at Jacobsen); and combinations of partial placement at Kendall and a general education kindergarten class. The continuum of options was explained to Mother by District and County at the January 27, 2011 IEP team meeting. Dr. Haymes, a behaviorist and Parent’s retained expert, and Parents visited both the SDC at Jacobsen and District SDC classes discussed as possible placement by District and County. Mother, who was sometimes accompanied by an advocate, visited all of the classes presented on multiple occasions. Mother, in her communications with District, claimed District and County did not have a continuum of options for Student. However, based on the foregoing, District and County met their obligation to have a continuum of program options available for Student. 6. A school district must afford the parents of a child with a disability the opportunity to participate meaningfully in IEP team meetings. It must take steps to ensure that all IEP team members, including parents, attend an IEP team meeting, and that parents have an adequate opportunity to participate and to present information to the IEP team. 7. A district must notify parents of an IEP team meeting early enough to arrange a mutually convenient date and must ensure that they will have an opportunity to attend. It may not conduct an IEP team meeting in the absence of parents unless the district is unable to convince the parents that they should attend; in which case it must keep a record of its attempts to arrange a mutually agreed-on time and place for the meeting. 8. In this instance District and County worked closely with Mother and her advocate and expert in arranging placement for her son. As the annual IEP date of August 26, 2010 approached, Mother was aware of options being considered by District and was participating in the decision process. Multiple visits were made by Mother as well as visits by Student’s advocate and expert to possible classrooms before any IEP team meetings were conducted. Mother agreed to the meeting schedule and the process where the formal recommendation for placement was made at the January 27, 2011 IEP team meeting. Mother was not fully cooperative and delayed the process when she could. 9. During the fall of 2010, District and County had ongoing discussions with Mother in an attempt to set an annual IEP team meeting on its annual date. The evidence established that Parents had received verbal notice of the meeting date through telephone discussions with District. Mother initially told District that she was available for the August 26, 2010 IEP team meeting date, but withdrew her availability shortly before the meeting. According to District, Mother delayed the IEP process at all times. District was concerned that further delays of Student’s annual IEP team meeting would place District out of compliance with its obligation to hold an annual IEP team meeting for Student. The evidence established that, after Mother indicated she could not attend on that date, District failed to engage in further reasonable efforts to schedule the IEP team meeting at a mutually agreeable time. District decided to convene the IEP team meeting on the scheduled date without Parents. 10. At hearing, District and County produced a written notice, marked first notification, of Student’s annual IEP team meeting dated August 25, 2010. Neither District nor County could produce evidence that showed that Parents received this notice. The totality of the evidence received shows Parent did not receive this notice. Even if the notice was provided to Parents the day before the IEP team meeting, it was too late to meet the requirement that parents be notified of an IEP team meeting early enough to ensure that they attend. 11. District and County convened the August 26, 2010 IEP team meeting without Parents. It is unclear who attended this meeting as no role sheet was taken. The purpose of this meeting was to serve as a “bookmark” to assure that District and County were in compliance with the legal requirement to timely convene the annual IEP team meeting and to discuss possible future dates. District justified its decision to hold an IEP team meeting without Parents on August 26, 2010, claiming that Parents were less than cooperative, and that it had to convene the annual IEP team meeting on time. No substantive decisions were made at this meeting, only subsequent meeting dates were set. 13. Although District committed a procedural error by failing to provide reasonable notice to Parents, and holding the IEP team meeting without Parents, Student continued to receive educational services at Kendall. Furthermore, neither District nor County made any decisions regarding Student’s education at the August 26, 2010 IEP team meeting. In mitigation, District maintained an open dialog with Mother regarding her son and she was fully aware of the need to hold the IEP team meeting. In addition, the violation was corrected shortly after this meeting. District arranged and held three subsequent IEP team meetings that included Mother, on September 10, 2010, October 28, 2010, and January 27, 2011, which resulted in the development of an IEP offer of placement. The delay between the August 26, and September 10, 2010, IEP team meetings was brief, and there is no showing Student lost educational benefit during that time. Therefore, this violation was immediately corrected and no further remedy is warranted. The procedural error did not result in a denial of FAPE to Student. 7 In its post hearing brief District and County argue that no procedural error took place because nothing of substance occurred at the August 26, 2010 IEP team meeting. While true that the only business conducted at the IEP team meeting was to set subsequent meetings, the failure to notify Parents in writing of the meeting that would give them an opportunity to attend is a significant oversight. 14. The offers at issue in this case were the product of IEP team meetings held on September 10, 2010, October 28, 2010, and January 27, 2011. The IEP team consisted of the following members: Mother; Janet Skulina, Interim Director of Special Education; Staci Johnson, County administrator; Kelli Flores, SDC at Jacobsen autism teacher; Susan Scott, County autism consultant; Lisa Balogh, occupational therapist and District general education teacher; Linda Haymes, Ph.D., behaviorist and independent assessor; Coleen Sparkman, Director Therapeutic Pathways; and Julie Klein, clinical supervisor, Therapeutic Pathways. Some members were absent from some meetings, but District obtained written consent from Parents for these absences. 15. All three of the IEP team meetings were properly noticed, held, and staffed as required by both Federal and State law. Except for the procedural error that occurred at the meeting conducted on August 26, 2010, District and County complied with all the procedural requirements of federal and state law in developing and presenting the August 26, 2010 IEP. As determined in Factual Finding 13, the procedural violation did not result in a denial of FAPE. 16. The public agency’s offered special education placement and services in an IEP must be reasonably calculated to enable the pupil to obtain educational benefit. Offers are to be evaluated as of the time the IEP team designed them, in light of the information available at the time the offers were made, and are not to be judged in hindsight. 17. District’s triennial evaluation of Student was conducted by County school psychologist Christopher P. Condon over six days in late September and early October 2009. Parents retained Linda K. Haymes, Ph.D., to conduct an independent educational evaluation (IEE) in September 2010.8 Reports from both of these assessments were used by the IEP team in the development of Student’s August 2010-January 2011 IEP. 8 The qualifications of the assessors, the completeness of their assessments, and the findings or validity of the assessments are not disputed. 18. The recommendations from the County assessment report and Dr. Haymes’ assessment report were substantially similar, and confirm that Student requires a structured learning environment, employing the use of structured situations that are arranged to elicit requests and questions from Student. Both recommend the use of the natural language techniques that systematically incorporate variables found in typical language interactions with non-handicapped persons. Dr. Haymes recognized that Student had limited opportunities for group instructions at Kendall, had difficulty following instructions in larger groups, and could not be expected to acquire new skills if taught in a group. 19. Based on all information, District and County knew that Student was autistic and possessed very low cognitive ability. District offered an array of services that included intensive individualized instruction utilizing a one-to-one aide throughout the school day as well as necessary designated instructional services. The program offered 30 hours per week of classroom instruction utilizing ABA and visual structure supports. Additionally, District and County offered occupational therapy, consultation by a speech and language specialist and behavior intervention specialist, services necessary for Student to access his education. 20 An IEP must contain a statement of measurable annual goals designed to meet the student’s needs that result from his disability, to enable him to be involved in and make progress in the general curriculum, and must meet each of his other educational needs that result from his disability. It must also contain a statement of the student’s present levels of performance (PLOPs). These levels establish baselines for measuring the child’s progress throughout the year so that adequate new goals can be written. Parents did not object to the PLOPs or goals developed, only to the placement offered to Student at the SDC at Jacobsen. 21 At its October 28, 2010 IEP team meeting, District and County developed 51 goals based on firsthand knowledge of Student from Kendall, thorough assessments, observations of Student, Student’s educational records, as well as input provided by Dr. Haymes and Mother. The goals are measurable and based upon Student’s present level of performance. There was no disagreement among the IEP team members, including Dr. Haymes and Mother, regarding the PLOPs or goals presented in the IEP. Although the number of goals may seem high at first glance, the team began their discussion of the annual goals at the October 28, 2010 IEP team meeting with 288 targeted skills provided by Kendall; of these 59 involved skills that were emerging and not met by Student, and 39 skills had not yet been introduced to Student. The IEP team made changes to the draft goals considering the input of all of the IEP team members including Dr. Haymes and Mother. At the October 28, 2011 IEP team meeting, all members of the IEP team agreed to the final proposed 51 goals as modified. The proposed goals complied with the law. Specialized Academic Instruction: a special day class (severely handicapped) located on a general education campus, following county calendar and providing 30 hours per week of evidence based practices for children with autism including ABA and visual structures for supports based on the District site calendar and County operational calendar. This classroom is currently located on the Jacobsen Elementary School campus. Occupational Therapy Services: consultation to the staff for Student’s needs at a total of one hour and a new assessment to determine Student’s needs for services once Student has begun the transition to his new environment. Intensive Individual Instruction: a one-to-one staff person for Student’s instructional and behavioral needs; initially this person would be a staff person from Kendall; the Kendall employee will fade to a County employee based on a data driven transition plan developed by the IEP team. Language and Speech: consultation to the intensive program for Student’s speech and language needs twice monthly for 60 minutes per session for a total of 120 minutes per month. Behavior Transition Services: Kendall will provide behavioral intervention support up to six hours per week to assure a smooth the smooth transition of Student. Behavior Intervention Services: County behaviorist collaboration with Kendall behaviorist to occur monthly for 120 minutes of total collaboration time per month. Behavior Intervention Plan: Student’s current positive behavior intervention plan will remain in place until such time that the IEP team deems that the plan needs to be revised. Transportation: curb-to-curb transportation from home to school and back one time daily during the regular school year and ESY. Interaction with Non-disabled Peers: after transition has occurred the IEP team will provide Student with opportunities for interaction as appropriate with his non-disabled peers, and also opportunities for interaction with peers in the mild-moderate special day class. These activities may include lunch and recess as well as structured classroom activities that meet Student’s needs in the general education and mild-moderate setting. Extended School Year: a moderate to severe evidenced based practices special day class for children with autism, 300 minutes daily, four days per week and one-to-one aide support with all services described in the IEP. 23. The heart of the dispute in this case relates to the placement offered by District and County. District and County contend that the SDC at Jacobsen is designed for children with autism and offers Student an opportunity to make significant progress in his academic, behavior and social skills. Mother contends that the setting lacks sufficient intensity for children with autism and does not address Student’s social needs. 24. Student’s most recent educational setting was the Kendall School. Coleen Sparkman, owner and director of Therapeutic Pathways, doing business as Kendall School, directed Student’s program since his arrival at Kendall in 2008. Ms. Sparkman is also a member of Student’s IEP team. Ms. Sparkman holds a master of arts degree, is a licensed speech pathologist and has been involved in the treatment of children with disabilities since 1982. Throughout her career she has sought to develop effective programs for disabled children to assist in preparing them to receive an education. As an owner-director of Therapeutic Pathways she employs a staff of 75 full-time and 250 part-time employees and has developed an interdisciplinary approach using applied behavior analysis in home and center-based settings. 25. Ms. Sparkman was persuasive that Student has progressed as a result of his time at Kendall. Most notably, his behaviors have improved so that instruction can be provided; however, his academic progress has been slow. Student will soon turn eight years old, but still is not prepared to enter a general education kindergarten setting. Ms. Sparkman explained that Student is now too old to attend Kendall. For example when he participated in circle time the other children were much younger, three, four and at the most five years old making this and other exercises ineffective. Ms. Sparkman has reviewed the proposed placement for Student and concluded that the SDC at Jacobsen offered by County is the appropriate placement setting for Student. 26. The SDC at Jacobson, operated by County, provides a well-designed class that is highly structured with trained aides who support effective reinforcement for their students. The SDC at Jacobsen is located on the campus an elementary school, where there are ongoing opportunities for mainstreaming the class with general education students. The program has sufficient staff that one-to-one instruction can be provided as determined by each student’s IEP. Ms. Sparkman established that children with autism must obtain skills that are delivered by a classroom teacher throughout the day, not in increments. The SDC at Jacobsen is designed to provide the classroom teacher with expert support to employ effective strategies throughout the day including speech and language, ABA, using natural language techniques. Ms. Sparkman provided credible and persuasive testimony that Student’s current placement a Kendall is too restrictive since he only interacts with three to four year old preschool children, and his adult aides. 27. Ms. Sparkman is an accomplished professional in creating programs for the education of children with autism. Her testimony is given substantial weight. 28. Janet Skulina, Ed.D., first became familiar with Student as a program specialist when Student was three years old. Dr. Skulina currently serves as the Interim Director for special education for District and has been employed by District since 1994. Dr. Skulina earned her doctor of education degree from University of Pacific in 2003, her master of science degree in counseling psychology from California State University Hayward in 1992, and her bachelor of arts degree from Eastern Michigan University. Dr. Skulina is familiar with Student, his progress, his needs, and serves as a member of Student’s IEP team. 29. Dr. Skulina testified regarding the possible settings for Student. In regard to the general education kindergarten class, Dr. Skulina established that this placement would be unsuccessful and inappropriate for Student because he has a short attention span and requires redirection and one-to-one instruction. The general education kindergarten class has more than 30 students who spend 45 minutes or more in carpet time, where the teacher asks for responses from individual students to questions posed to the group. Students move in groups from station to station to receive their instruction. Upon graduation, students are expected to read and count to 30. Student’s goals are quite different from those students in the general education kindergarten class. Student would require one-to-one instruction, would not be able to participate with the other children, and would spend most of the day isolated from the class working with his aide. 30. Dr. Skulina also discussed Student’s possible placement in the District SDC designed by District for mild-to-moderate disabilities. She explained that the District SDC has 16 to 17 students with mild-to-moderate disabilities and is managed very much like a general education kindergarten class with a slower pace, more individualized attention and more breaks. The District SDC is staffed by a teacher and two aides. Although the District SDC does offer occupational therapy and behavioral support, the staff is not adequately trained in ABA and these services are not offered to students in the District SDC. Dr. Skulina explained that the District SDC would not be an appropriate placement for Student because the class size is too large, provides too large a ratio of teachers-to-students and does not provide sufficient ABA services. To participate in this class, Student would require one-to-one support throughout the school day. 31. Dr. Skulina was also knowledgeable about the SDC at Jacobsen. She was persuasive that the SDC at Jacobsen provides the support that Student requires to obtain educational benefit from his instruction, including ABA, natural language techniques, one-to-one aide, occupational therapy support and behavioral support. Additionally, the SDC at Jacobsen provides opportunities for mainstreaming of Student as his skills develop. 32. Dr. Skulina is well qualified, knows Student well, and provided knowledgeable and credible testimony that is given substantial weight. 33. Kelli Flores is the teacher for the SDC at Jacobsen. Ms. Flores holds a bachelor of arts degree in psychology from California State University, Long Beach; she also holds two special education credentials: mild-moderate, level 1 and moderate – severe, level 1. Ms. Flores has just completed her first year of teaching. Ms. Flores has eight students in her classroom and four full-time aides and one part-time aide. Currently, three students in her class have a one-to-one aide. Her class is taught in an autism-specific classroom and she and the staff have been trained in ABA techniques. She and her staff obtain continual training and advice from the County behavior specialist related to the support and instruction of individual students in her class. An autism specialist provides regular consultation with the staff related to individual programs provided to students. 34. Ms. Flores established that her classroom contains six cubicles that allow for both one-to-one and one-to-two instruction, as well as a larger common area for group activities such as circle time. IEP services for each student in the class are delivered throughout the day using ABA techniques as are appropriate for each student. 35. Ms. Flores is a member of Student’s IEP team and participated in very detailed discussions regarding Student’s goals that took place at the October 28, 2010 IEP team meeting. She has completed a thorough review of Student’s proposed annual goals and finds them similar to the goals of her other students. She is confident that these goals and Student’s behavioral support plan can be implemented in her classroom. 36. At its January 27, 2011 IEP team meeting, the IEP team including Mother, considered a range of placements for Student, from a class for children with severe disabilities to a regular education classroom. The District and County members of the IEP team rejected continuing Student’s placement at Kendall, because the setting is simply to restrictive and inappropriate for Student, who should be placed with more age-appropriate peers. The IEP team considered a general education kindergarten classroom with a one-to-one aide and rejected this placement as also being inappropriate because Student would have to be pulled out or isolated to receive the one-to-one instruction that he required. The IEP team considered placement in the District SDC, but rejected this placement because the classes are too large, the ratios of teachers-to-students too high and the curriculum to advanced for Student to be able to keep up and receive educational benefit. Ultimately, the IEP offered to place Student in Kelli Flores’ SDC at Jacobsen. 37. Ms. Flores’ class is a highly structured environment and utilizes visual schedules, picture symbols or icons, verbal and physical redirection, and one-to-one instructional support throughout the school day. Special education children participate with their regular education counterparts in recess and lunch. When appropriate, children from the SDC at Jacobsen may move to a regular education class for short periods of the day and may be permanently assigned to a regular education class if they are able. 38. Ms. Flores provided credible testimony and her testimony is given substantial weight. 39. Student’s expert, Dr. Haymes, provided a complete analysis of the placement options in her September 2010 report. Dr. Haymes preferred the SDC at Jacobson operated by County as the placement location for Student. She was persuasive in her report that the SDC at Jacobsen has minimal distractions and provides workstations for individualized instruction and discrete trial sessions. The classroom also has a trampoline, bikes, large bouncing balls to sit on and other sensory items that typically appeal to children with autism. Dr. Haymes was not without her criticisms of program; she felt that the staff was not very familiar with the student’s programs and that the children’s data books, based on their IEPs, lacked social goals. Dr. Haymes observed the SDC at Jacobsen during the first week of school. It is clear from the testimony presented during the hearing that the issues identified by Dr. Haymes have since been addressed. 40. Dr. Haymes also provided her opinion of Student’s possible placement in the District SDC as well as a general education kindergarten class. In regard to the District SDC designed for students with mild-to-moderate disabilities, she was persuasive that this setting would be inappropriate because the program was designed for 16 students resulting in a oneto-five ratio of teachers to students. Student requires a smaller setting with more individualized attention than this class could offer. In regard to the general education kindergarten class, this class has 34 students and two teachers, and Student would require a one-to-one aide at all times. Dr. Haymes concluded that Student would have to be removed from the room and work one-to-one to derive any educational benefit. Ultimately, although in a general education setting, this placement would actually be the most isolated placement for Student. 41. Based on the foregoing, the evidence established that, in the SDC at Jacobson, Student can obtain the individualized attention that he needs to succeed. In this setting District and County can meet each of Student’s educational needs that result from his disability, implement Student’s goals, and adjust methodology as they observe Student’s progress. 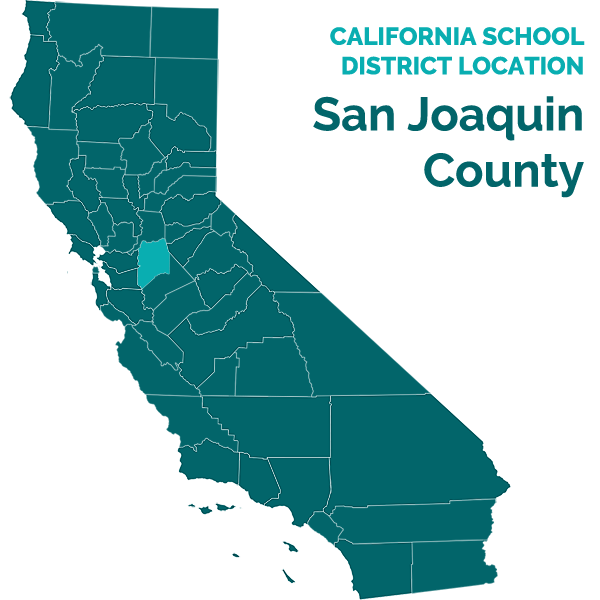 District’s and County’s offer of the SDC at Jacobson provides Student with a FAPE that is reasonably calculated to enable Student to receive meaningful educational benefit. Whether the placement is appropriate for Student also depends on an analysis of the requirements for LRE. 42. The IDEA requires that a student with a disability be placed in the LRE in which he can be satisfactorily educated. The environment is least restrictive when it maximizes a student’s opportunity to mix with typical peers. Determining whether a student is placed in the LRE generally involves the balancing of four factors: (1) the educational benefits of placement full-time in a regular class; (2) the non-academic benefits of such placement; (3) the effect the student would have on the teacher and children in the regular class; and (4) the costs of placing the student in the regular education setting. However, if a pupil is not able to be appropriately educated in the general education setting, the question is whether the pupil has been mainstreamed to the maximum extent that is appropriate given the continuum of program options. 43. Based on observations by Kendall personnel in three years of one-to-one instruction, the County triennial assessment and Dr. Haymes’ assessment and observations, District and County established that the Student would not benefit from placement in a full-time regular class. Instead, Student’s placement in the SDC at Jacobsen is appropriate. District and County established that Student would receive educational benefit in the SDC at Jacobsen with its small class size, availability of one-to-one instruction, the consultation and training of necessary supporting specialists in behavior, occupational therapy and speech, and curriculum modified to meet Student’s unique needs. District and County demonstrated that the manner of instruction in Ms. Flores’ class, with small-group instruction full time one-to-one aide as well as a familiar aide from Kendall to assist in transition, would assure that the Student would receive educational benefit. Student requires constant prompting and requires assistance in becoming more independent, which may be accomplished in the SDC at Jacobsen. Therefore, the District and County offer of placement to the SDC at Jacobsen would provide Student with academic progress. 44. Student was becoming more isolated in the Kendall program; he was mainly interacting with adults. Kendall does not offer Student an opportunity to participate in the classroom setting with children of his own age. Likewise, Student would be isolated in a full-time regular education class because he would require constant one-to-one instruction. Being in the SDC at Jacobsen to receive needed one-to-one academic instruction while still participating in a group setting will allow Student to interact with his peers and learn needed classroom skills. Student will have limited exposure to his regular peers on the general education campus that can be increased as his social skills develop. Accordingly, Student will gain non-academic benefits from being placed in the SDC at Jacobsen. 45. According to the testimony and the reports provided Student has a very short attention span and must be redirected. However, it is clear from a review of the record that, although Student’s behaviors are under control in small group settings, this changes dramatically when he is placed in a larger group and he would likely be disruptive in a general education class. Student would not be a disruptive force in the SDC at Jacobsen, and would have an opportunity to be placed in larger groups as he gains social skills. The cost was not a factor in the determination to offer the SDC at Jacobsen. 46. A balancing of the above factors establishes that the SDC at Jacobsen is the LRE for Student. In the SDC at Jacobsen, Student will achieve educational benefit through specialized one-to-one instruction that is supported by a competent group of professionals who can address Student’s academic, social and behavioral needs. Additionally, the students in Ms. Flores’ SDC at Jacobsen did not have behavior problems so significant that they would impede Student’s academic progress or teach him maladaptive behaviors. Therefore, the SDC at Jacobsen is the LRE for Student. 47. “Related services” are transportation and other developmental, corrective and supportive services as may be required to assist the child in benefiting from special education. In California, related services (referred to as designated instructional services) must be provided if they may be required to assist the child in benefiting from special education. These services typically include speech and language and other therapy services. An educational agency satisfies the FAPE standard by providing adequate related services such that the child can take advantage of educational opportunities. 48. As discussed in Factual Finding 22, District and County offered an array of related services as part of their offer of placement. Occupational therapy services; one-to-one aide; speech and language support; behavior transition services; behavior intervention services; behavior intervention plan and transportation services. Each of these related services are appropriate and necessary for Student to obtain educational benefit from his educational program. District and County have provided all of the necessary related services needed by Student. 49. In sum, District has addressed all of Student’s unique needs in the proposed IEP. The goals are all rooted in accurate present levels of performance, determined recently and thoroughly by teachers and professionals working in consultation with providers who have known and worked with Student for the past three years, as well as by competent outside experts. The location for placement provides a rich staff-to-student ratio, provides a strong behavior component with a rich schedule of reinforcement and is highly structured with opportunities for both individual and small group learning. Most importantly, Student’s own expert agrees that Student’s placement in the SDC at Jacobson is an appropriate placement. Dr. Haymes had some criticisms, but County has addressed those and has adequately staffed the program to deliver as promised. In addition, the proposed related services sufficiently support Student to assure he can obtain educational benefit from the program offered. Overall, the proposed IEP is reasonably calculated to allow Student to obtain meaningful educational benefit in the LRE. 9 All subsequent references to the Code of Federal Regulations are to the 2006 version. 11. Federal and State law specify in detail what an IEP must contain. (20 U.S.C. § 1414(d)(1)(A)(i); 34 C.F.R.§ 300.320; Ed. Code, § 56345.) An annual IEP must contain, inter alia, a statement of the individual’s present levels of academic achievement and functional performance (PLOPs), including the manner in which the disability of the individual affects his involvement and progress in the regular education curriculum. (20 U.S.C. § 1414(d)(1)(A)(i)(I); 34 C.F.R § 300.320 (a)(1); Ed. Code, § 56345, subd. (a)(1).) The statement of PLOPs creates a baseline for designing educational programming and measuring a student’s future progress toward annual goals. Issue: Whether District’s and County’s individualized education program (IEP) dated August 26, 2010, offered Student a free and appropriate public education (FAPE) in the least restrictive environment (LRE)? 16. Based on Factual Findings 4 through 15 and Legal Conclusions 1 through 10, the IEP team meetings held by District on September 10, 2010, October 28, 2010, and January 27, 2011, were attended by all participants the law requires. The IEP contains all the elements required for an IEP. Although the first IEP team meeting held on August 26, 2010, did not adequately notify Parents, Mother was in communication with District, knew of the meeting schedule and cancelled the meeting. The first IEP team meeting was not a denial of FAPE since Student continued to receive services, there was a short delay until Mother attended and IEP team meeting and Mother agreed to the meeting schedule, no other procedural errors were found. The IEP was fully developed and an offer of placement was made in meetings where Mother was present and was done with her input. The procedural requirements of both State and Federal Law were met. 17. Based on Factual Findings 16 through 49 and Legal Conclusions 1 through 5 and 11 through 15, District’s August 26, 2010 IEP offer complies with the substantive requirements of the IDEA and places Student in the LRE. It addresses all of Student’s unique needs and is reasonably calculated to allow him to obtain meaningful educational benefit. It places Student with typically developing peers to the extent possible while still providing Student with educational benefit. District’s IEP offer dated August 26, 2010, constituted an offer of a FAPE in the LRE for Student. Pursuant to California Education Code section 56507, subdivision (d), the hearing decision must indicate the extent to which each party has prevailed on each issue heard and decided. Here, District prevailed on the single issue presented.